Conclusion: I liked it. If I were buying it again I would. I would recommend it to a friend or a customer. 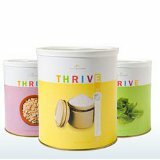 I do think that if you are planning on purchasing the THRIVE Smart Start you should plan on purchasing all three months. 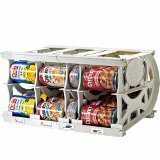 If you are looking into purchasing a large amount of food storage I would recommend purchasing the Smart Start as a way to decide what foods your family likes before you invest a ton of money. Sign Up for A Q and Start the Smart Start Now!